User accounts can be locked for a variety of reasons, the most common of which is that you tried to log in too many times with the incorrect password. When your account is locked you cannot log in to this site at all. Only an administrator can unlock your account. You will need to send us an email from the email address on your account requesting it to be unliocked. If your account is locked for a reason other than incorrect log in attempts you may be asked to explain the circumstances surrounding the lock. 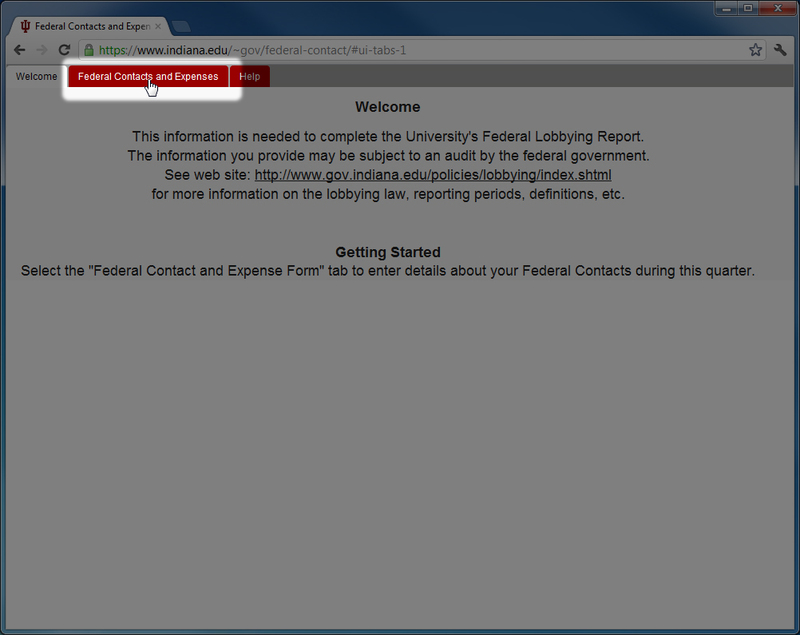 Click the Federal Contacts and Expenses tab at the top of the welcome screen. Click on the name of the authorized individual whose contacts you wish to report. 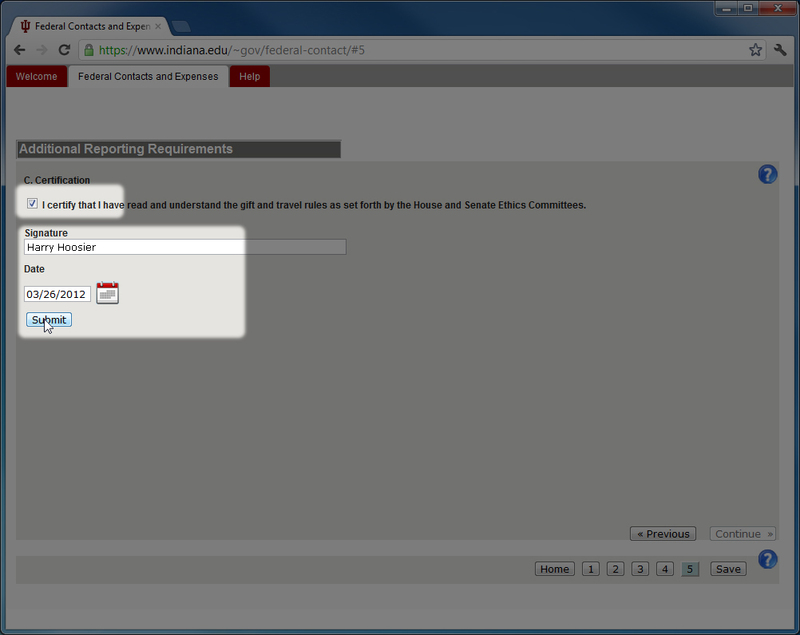 A box will appear asking you to select the proper quarter and year for your report. Click on the arrows below the words Quarter and Year to choose the correct quarter and year. Click OK. This will add a new quarter to the submissions box. When you click the new quarter, the form will automatically take you to the next step. Otherwise, leave the box unchecked and click 2 on the bottom of the screen to continue to the next step. Fill out the information of the contact, then click Save (you must click the Save button after each entry) under the Reason/Purpose box. 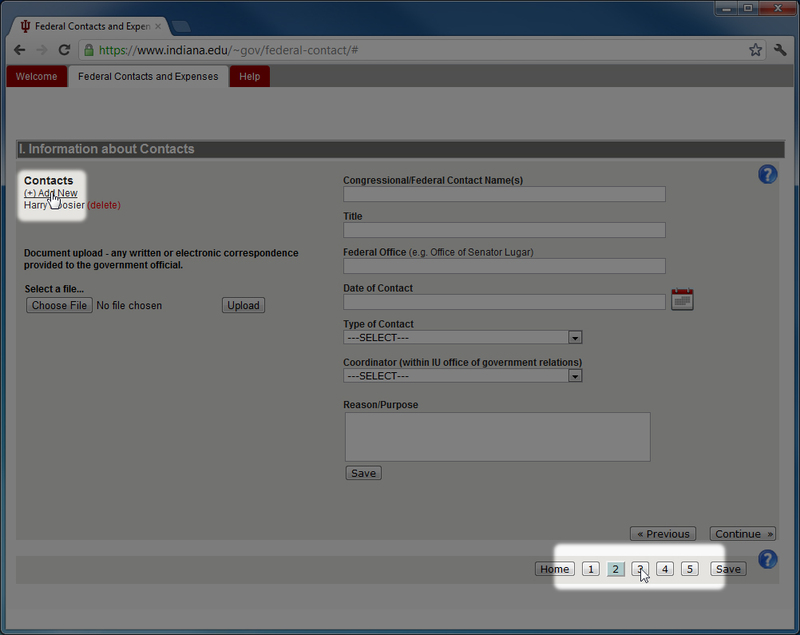 The contact will be added to the list on the left under "Contacts" *Do not leave any fields blank. 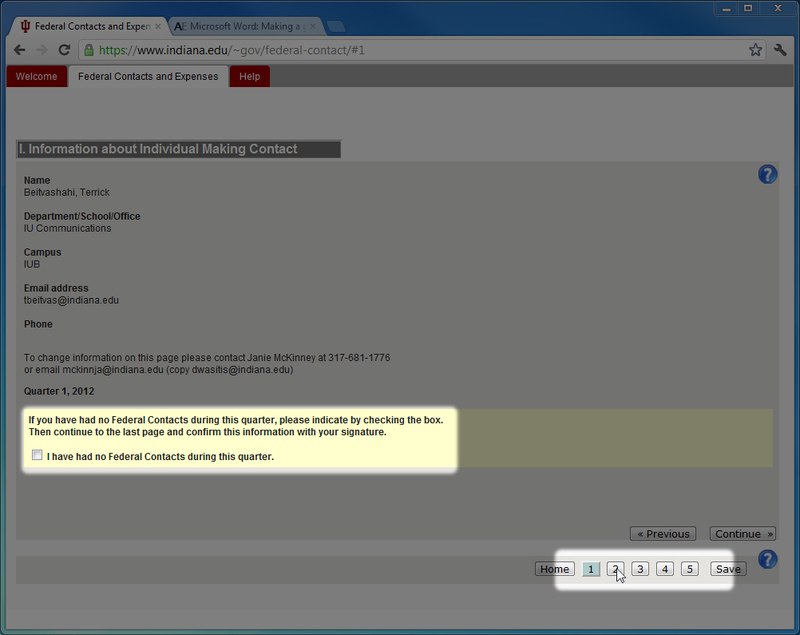 If all information is not entered, the contact will not be added. (+) Add New. 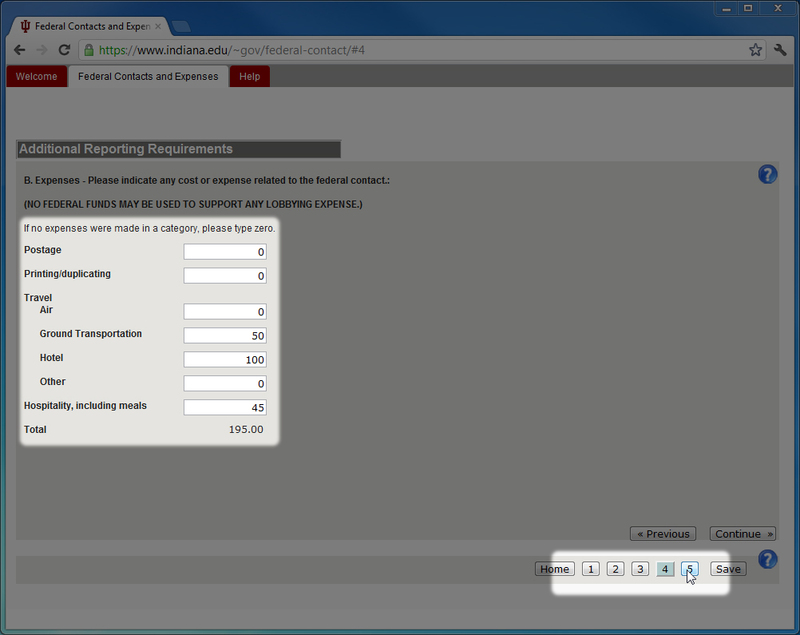 Fill out the information of the contact, and click Save. You may upload supporting documents, such as written or electronic communication by clicking on Choose File. 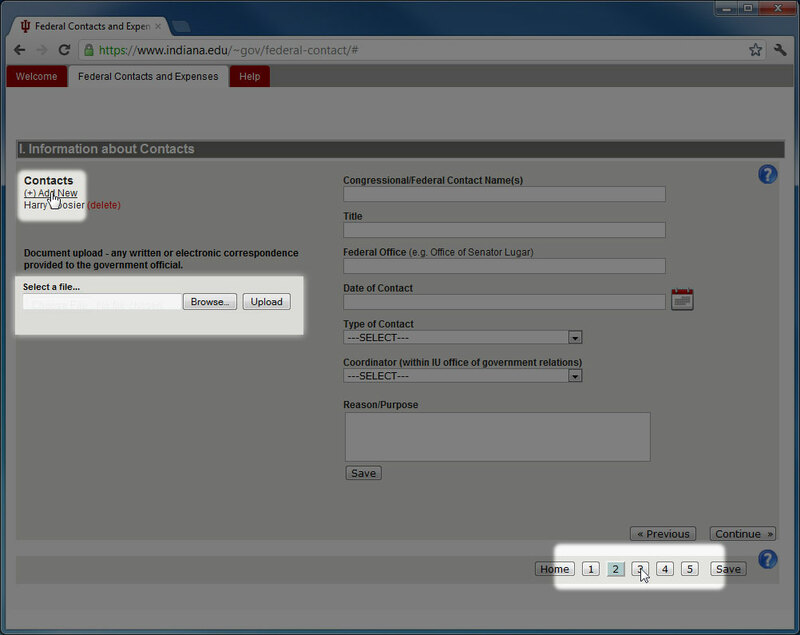 When you are finished adding contacts, click 3 on the bottom of the screen to continue to the next step. List the amount of time you and/or any other employees spent in preparation and in carrying out the contact. Be sure to list each employee and their time spent individually on a new line. 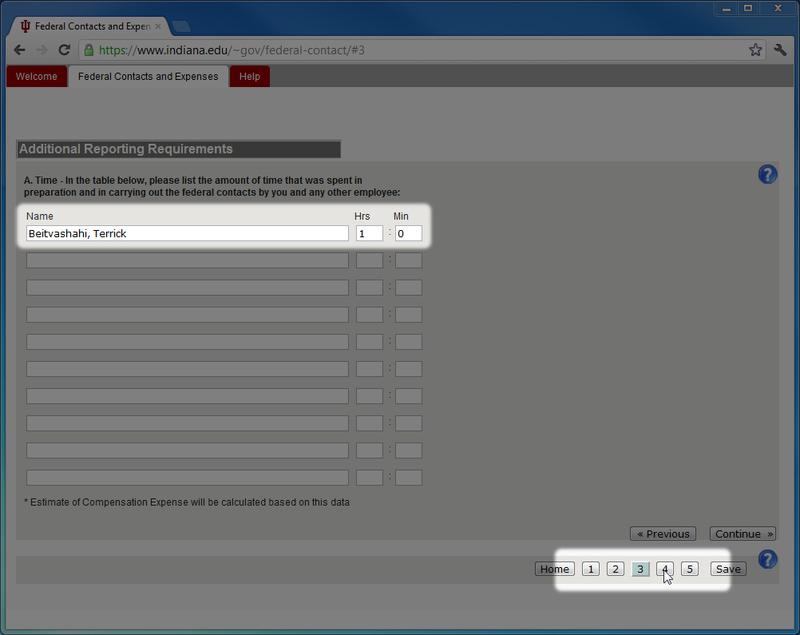 When you are finished listing employees and time, click 4 on the bottom of the screen to proceed to the next step. Enter all expenses related to the federal contact. After all expenses have been entered, click 5 on the bottom of the screen to proceed to the final step. Make sure you check the box next to "I certify that I have read and understood the gift and travel rules . . ."
Under Date, select today’s date. Click Submit. 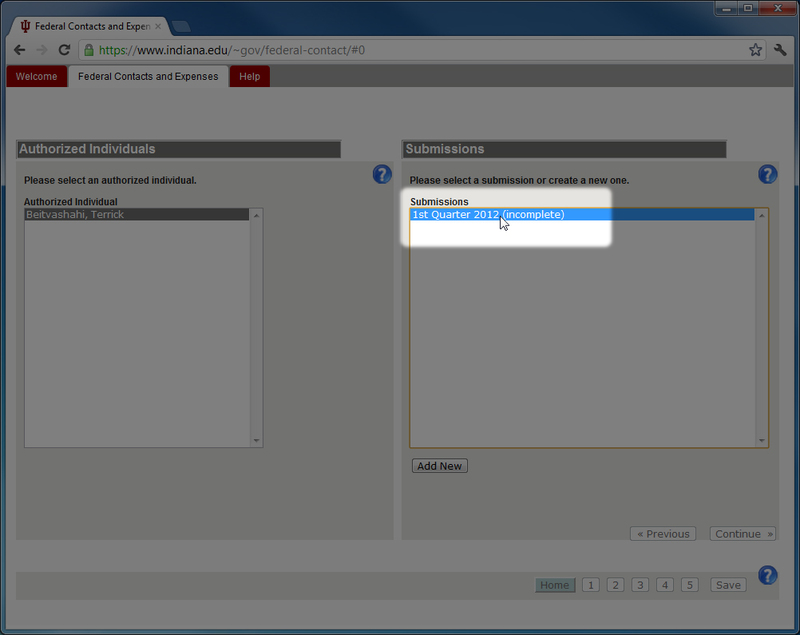 Once Submit has been clicked, you cannot return to enter data.